MANILA, Philippines — Out of 144 economies around the world, the Philippines’ global competitiveness ranking improved by double digits in the latest World Economic Forum’s (WEF) Global Competitiveness Report 2012-2013, one of only 15 economies in a similar performance which measured the microeconomic and macroeconomic level that determine national competitiveness. The country ranked 65th in the latest competitiveness rankings from 75th in 2011, the second straight year that rankings moved up 10 places, said Makati Business Club chairman Ramon del Rosario Jr. at yesterday’s launch of the Global Competitiveness Report. In 2010 the ranking was 85 from 87 in 2009. The ranking history showed that it has advanced 22 places since its lowest mark in 2009. The WEF defines competitiveness as the set of institutions, policies and factors that determine the level of productivity of a country based on 12 key categories that together make up for the comprehensive picture of a country’s competitiveness. 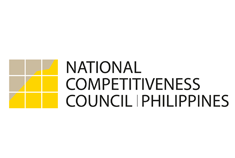 Del Rosario and Guillermo Luz, co-chair of the National Competitiveness Council told reporters that by 2016, they expect to be in the top one-third competitiveness ranking in the world. This is just about 20 paces up and del Rosario said this achievable. By 2016, the administration will still be under the leadership of President Aquino and del Rosario and Luz expressed confidence that the ranking goal will be achieved as targeted. The report said macroeconomic environment likewise showed improvement at 36th, up 18 and is “one of the strongest aspects of the Philippines’ performance” along with the market size pillar at 35th. The financial sector was also noted as more efficient and increasingly supportive of business activity at 58th, up 13 places. By institutions ranking, this rose 23 places to no. 94. Infrastructure at no.98 was seven places up while macroeconomic environment rose 18 places to no. 36. Higher education and training went up seven places to no. 64, goods market efficiency went up two places to no. 86. and labor market efficiency increased 10 places to no. 103. Financial market development, in the meantime, improved 13 places to no. 58. Technological readiness went up four places to no. 79 while market size went up one place to no. 35. As for business sophistication, this landed at no. 49, up eight places. The only category in which the Philippines’ ranking did not improve was in the health and primary education pillar. “None of the 10 indicators falling under health and primary education posted an improvement in ranking. Some of them are part of our commitments under the Millennium Development Goals of the United Nations,” noted del Rosario. The Philippine ranking in HIV prevalence, in particular, notably dropped from no. 1 to no. 12. Of the country’s strengths, out of 111 indicators listed by the Global Competitiveness Report, the Philippines ranked no. 50 and below in 25 indicators. Indicators that were considered as the country’s competitive advantages are HIV prevalence, available airline seat kilometers, degree of customer orientation, willingness to delegate authority, domestic market size, extent of staff training, affordability of financial services, government budget balance, financing through local equity market, cooperation in labor employer relations, reliance on professional management, state of cluster development, quality of management schools, FDI and technology transfer, foreign market size, soundness of banks, extent of marketing, quality of the educational system, ease of access to loans, regulation of securities exchanges, firm level technology adoption, gross national savings, local supplier quantity, intensity of local competition, and availability of financial services. The report also noted that the country ranked no. 100 or worse in the following indicators: number of procedures to start a business, burden of customs procedures, business costs of terrorism, tuberculosis cases, redundancy costs, quality of port infrastructure, flexibility of wage determination, business impact of tuberculosis, quality of air transport infrastructure, number of days to start a business, strength of investor protection, ratio of women in labor force to men, burden of government regulation, hiring and firing practices, irregular payments and bribes, business costs of crime and violence, efficiency of legal framework in settling disputes, government procurement of advanced technological products, fixed telephone lines, business impact of malaria, efficiency of legal framework in challenging regulations, life expectancy, total tax rate, quality of scientific research institutions, diversion of public funds, net primary education enrolment, and reliability of police services.